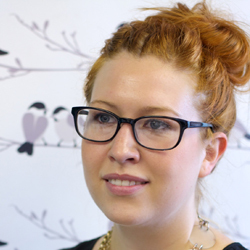 Instead of us just telling you how good we are, we asked London-based designer Lorna Syson to tell us what she thinks of our cloud-based Sage One Accounts software. 1. Hi Lorna, could you please give me a brief summary of who you are, what you do and the name of your business? My business is called Lorna Syson and I do British-designed and manufactured home accessories including lampshades, cushions, wallpapers and wallflowers. I also have a bespoke side of the business which creates large scale three-dimensional textiles installations for open spaces in homes and offices. I am influenced by the British countryside and have collections inspired from British song birds, The Cornish coast line and British landscapes. I am a sole trader and work full-time in the business. I have a part-time assistant and from time to time take on creative interns for short periods. I’ve been using Sage One Accounts since Christmas and before that I was using Excel spread sheets. For the 18 months before I switched I was having real issues keeping my paperwork in check, filling it in correctly and making it understandable when it came to VAT and TAX returns. Sage One has allowed me to have a system where the accounts are kept in check on a regular basis and at any point during the month I know at what stage the business is at. 4. When did you start using Sage Pay to accept online payments? Why did you choose this service? I started using Sage Pay when I re-launched my website, lornasyson.co.uk, in May. Before that my old website was linked into PayPal which some customers found confusing. I chose Sage Pay because of the service I had received at Sage One. I knew that if I was moving into an area such as online selling which I knew little about the Customer Support Team would talk me through it. You need to be passionate about what you do, when you are your own boss you need to be excited about getting up in the morning and working. You need to learn your strengths and weaknesses and accept help in the areas you need it. Also set yourself sales targets. My mentor said to me that unless you make money and grow it is not a business, it is a hobby and that has always stayed with me. 6. You told me you use Google Drive to make back-ups. What type of documents or files do you use this for and why is it important for you to be able to access things on the move, wherever you are? I mainly use Google Drive for my stock take. I can access this anywhere and if I am away my assistant can have full access from wherever she is. When it comes to sales, my assistant and I can work separate computers on the same database updating in real time as we work knowing that there will be no crossovers. 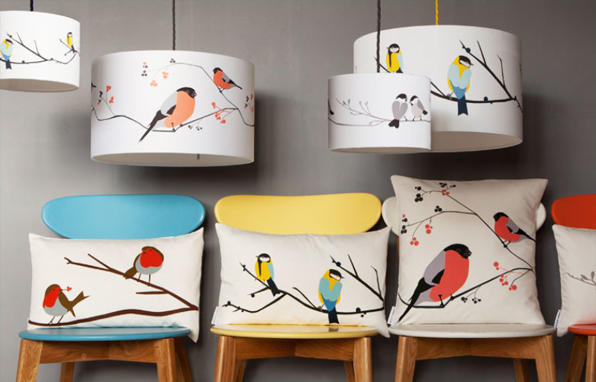 Take a look at Lorna’s website lornasyson.co.uk to see her gorgeous collection of cushions, lampshades, fabrics, wallpapers and wallflowers. If you’re starting or growing a small business, take a look at our Sage One Cashbook, Sage One Accounts and Sage One Payroll software and sign up for a FREE 30 day trial.